Los Angeles, Calif. - The Louisville Cross Country team competed on Friday evening in the City of Angels Invitational at the Los Angeles State Historical Park. The varsity squad placed fourth overall out of eleven teams. Individually, three athletes set new personal records, two athletes ran seasonal best performances, and five athletes medaled. 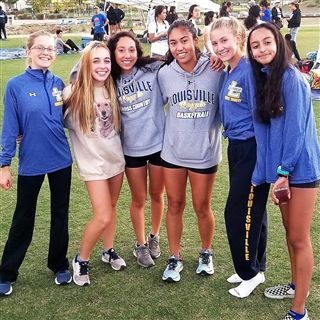 In the varsity 3-mile race, Junior Kaydee Inouye, led our Royals to finish in fifth place in a seasonal best time of 19:19, followed by Junior Kristen Huber who placed tenth overall in a personal best time of 19:58. Sophomore Sofia Gavura was the third scoring athlete who had her best team finish and ran a personal best time of 21:52. Followed by Junior Chloe Maslansky finishing one second behind Gavura in a time of 21:53. The fifth scoring athlete was Junior Lizeth Ochoa who closed three seconds behind Maslansky with a time of 21:56. In the junior varsity 3-mile race, Senior Janisse Miranda ran a seasonal best time of 26:59. Junior Madison Barbello finished with a time of 27:32. Both Miranda and Barbello placed 26th and 27th overall and medaled for their top 30 finishes. In the frosh/soph 2.75 mile race, Freshmen Cristina Erskine, placed 17th overall in a time of 20:21, earning a medal and setting a new personal record. 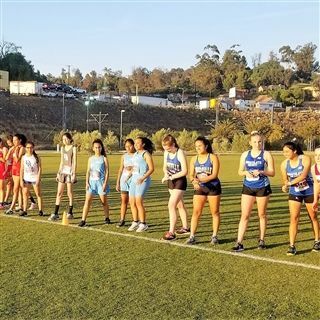 NEXT UP: Mission League finals on Wednesday, 10/31/18, at Crescenta Valley Park.